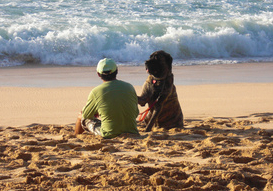 Learning how to understand your dog, and what he's trying to tell you, is a learning curve for new owners. 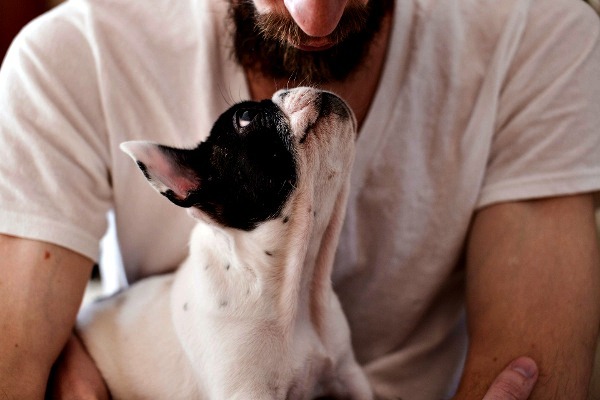 Although love doesn't always need words, you and Fido don't speak the same language, and this can make understanding your dog a little tricky at times. Most times mis-communications are simply confusing, frustrating or even funny. 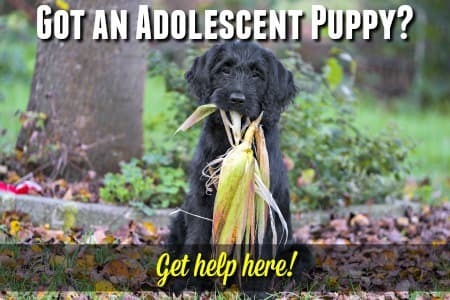 But sometimes they can be at the root of serious behavior or training problems which make life difficult for everyone, and could even put both of you at risk. Canine communication and behavior is a huge topic and there's a whole lot we still don't know about how and why dogs do certain things, or behave in certain ways. Canine Body Language - Who Needs Words? Because our dogs can't tell us what they think, feel or need in a verbal way, it's important to learn how to understand your dog when he uses non-verbal communication (ie body language). Almost always horizontal or above. These are generalizations and not ALL dogs will exhibit the same body language, clues or postures when they're happy, scared, or angry. But most dogs will show at least a couple of them. Of course there are also a whole range of emotions that fall in between the four given above. A dog can be cautious, confident, watchful, curious, wary.... and he'll show all of these emotions through body language combining some of the postures and facial expressions I've described. If you trust your instincts you'll generally be pretty accurate in your assessment of a dogs emotions because just as dogs can feel our emotions, we can feel theirs if we give ourselves a chance. Dogs whose ears or tails have been cropped or surgically altered can be more difficult to read for obvious reasons, and dogs with ears that are always pricked, or are very droopy won't be able to send off the same signals. Lots of very long hair can disguise posture, eyes and/or ears, and make it difficult to see if the hackles are raised. Some breeds (like the Rhodesian Ridgeback) have a strip of hair running down their spine that is going against the natural lie of the hair and always appears to be raised. Dogs don't rely on giving any one single clue to their thoughts or feelings. Look at the dog's behavior and body posture as a whole because some traits can be very subtle or may appear in a dog who is anxious, or one who is aggressive. A very scared or fearful dog can be just as dangerous, sometimes even more so, than a dog who is feeling territorial or aggressive. 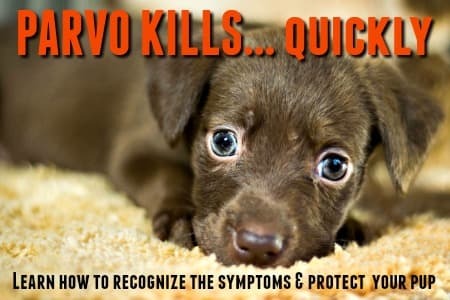 Extreme fear can make a dog act very unpredictably and chase, bite or attack without warning. We all know that a dog is happy when he wags his tail right? Well that's not always true. Yes, tail-wagging is often a positive sign, but from the charts above you can also see that different ways, or speed, of wagging can mean different things. Researchers have now discovered that the direction in which a dog 'wags' also says something about how he's feeling! 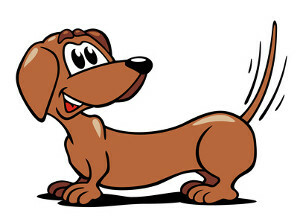 When he 'wags', a dog waves his tail back and forth, and often he 'wags' his entire rear end.... some dogs look like crabs who are walking sideways they waggle their butts so hard! A study undertaken at the Center for Mind/Brain Sciences, at the University of Trento in Italy, found that when a dog wags favoring his left side brain activity shows that he's often feeling anxious, worried or upset. But when he wags favoring his right, studies of his brain show that he's usually feeling calm, relaxed and happy. This is a instinctively understood by other dogs, who 'read' the emotions in the tail wag with ease. Although dogs don't speak our language, they communicate with each other in a lot of different ways. If you want to know how to understand your dog, it helps to learn what each behavior/sound means to a dog. If you take the time to learn what certain sounds, actions and postures mean you'll soon be 'speaking dog' and that's a big step towards avoiding many of the most common, and sometimes biggest, problems and frustrations of dog ownership. Although speaking dog doesn't include real words, the sounds your dog makes all have meaning, and can be one of the easiest actions to understand. This can mean your dog is happy or excited, be an attempt to get your attention, give you a warning that a stranger is at the front door, or send a message to another dog in the neighbors yard. Barking that is designed to get your attention, or as part of a game is usually higher pitched than what you'll hear when you're dog is sounding the 'intruder alert'. Dogs who are left alone for long periods or get bored can take up barking, just for fun or to keep themselves busy. This is never fun for anyone else. This can be your dog's way of warning you that he's feeling irritated or angry, and if you ignore him the next step could be a nip/bite. He can also growl in play or for fun. If he's playing, the growling will most likely be higher-pitched and maybe more 'throaty' than a warning growl which is usually very low, deep and comes from the chest. A dog can growl without changing his facial expression much at all. Snarling on the other hand is a clear indication that a dog is angry and/or aggressive and the sound is accompanied by pulled back lips which show both teeth and gums, and deep wrinkles extending the length of the muzzle. Although dogs of all ages will whine from time to time, it's more common and seen most often in puppies. Pups and dogs whine for pretty much the same reasons human children and adults do. They want something they can't have, and are upset about it! If your pup whines for a toy, treat or attention and you give it to him you're simply proving to him that this strategy works, so don't do it. The exception to this is when your pup/dog is whining at the door because he needs to go outside to pee or poop! This isn't a vocalization that dogs use a whole lot, although some breeds tend to be bigger 'howlers' than others. Hounds of all types are more prone to making this noise than many other breeds. They also 'bay' which is a sound somewhere between howling and barking. In the wild howling is used as a long-distance communication system and for identifying different packs and groups. 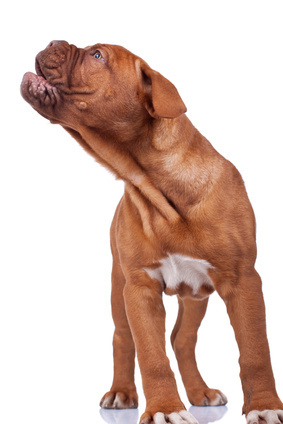 If your pet dog starts to howl he might be bored or lonely, or he may have heard another dog howling. It's a kind of group activity and seems to be contagious (in the same kind of way that yawning is contagious although obviously much noisier). A siren, car alarm or certain musical instruments can also trigger howling. The best way to describe what this sounds like is 'grumbling'. It's usually a low, rumbling noise and your dog might use it to show that he's irritated, or as 'back-talk' when you tell him off. In these situations it's not exactly growling, and is milder and less threatening. BUT you should never allow your dog's complaints to control your behavior, or allow him to 'sass' you - a quiet, but firm, verbal correction will show him that you don't approve. 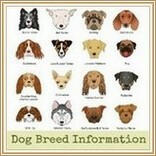 Some breeds tend to 'grumble' or 'groan' when they're feeling content, especially if they're being petted or loved on. 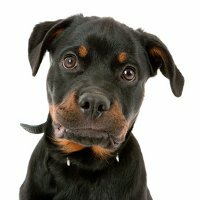 Rottweilers are very big on doing this but many other breeds also do it, and individual personality also plays a big role. This can sound menacing, especially in a big dog, but it's more akin to a cat purring than a growl. However, do be sure that it IS grumbling that a dog is doing and not growling before you carry on with whatever is triggering the noise. Yelping is a noise most dogs only make when they're in pain, frightened or upset. 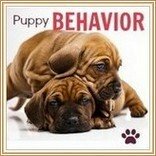 Puppies learn bite inhibition (how hard they can bite without fear of retaliation or causing real damage) by nipping and biting each other in play - only stopping when the other puppy yelps. Some breeds can yelp at the slightest hurt, others have a high tolerance for pain and rarely complain. Some breeds have a very high-pitched bark that can sound almost like yelping, especially very tiny dogs and some herding dogs. Whimpering is also a way for a dog to let you know he's in pain or is scared. A yelp is often the first sound and is sudden and sharp, it may be followed by whimpering which is similar to a human crying. So far we've taken a look at your dog's efforts to communicate with you, and hopefully you now have a better understanding of what he's saying (verbally or otherwise). Dogs rely on body language and behavior more than on vocalizations when they're interacting with other dogs. We humans are more into words than actions. This is where the problems can begin! Wolves (and wild dogs) are pack animals, and in order for the pack to thrive there have to be a set of rules which are obeyed, a leader who is respected, and every dog has to know his place. Domesticated dogs still have those instincts hard-wired into their brains and if you want your 'pack' (ie your family) to function properly you need to help your dog figure out where he fits in, who is in charge, and what the rules are. Sounds simple right? Well it is pretty straightforward, but all too often we make it complicated! Of course our dogs are our 'babies' but they're still 100% canine, and it's a huge mistake to expect them to share our human emotions, desires and understanding. If you treat your pup like a human then you're going to be surprised, irritated, frustrated or confused when he acts like a dog instead of a human.. and that's not his fault... so from day one remember your pup is a canine and work with his instincts and needs. * then comes all the extra stuff like toys, and a bed, tasty treats, car trips etc. etc. This list is my own personal thoughts and after decades of experience raising and living with dogs I think it's pretty accurate, I also believe it's in the right order of importance but it's not set in stone! The diet, protection from elements, good health, love and exercise are all things you won't have any trouble with, the leadership, boundaries/rules, routine and discipline are where it's easy to go wrong if you're a first time dog owner or it's been a while since you had a pooch at home. 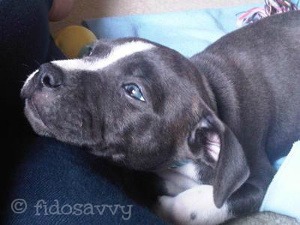 Your puppy's first instinct is to stay with his pack, preferably as close to his momma as possible. This is why when you bring him home he pretty much super-glue's himself to your side... and why he gets so upset when you're out of sight. As soon as he starts to feel at home and secure he will start looking for the pack leader, and it's important that he realizes this is YOU. Dogs who don't have a clear pack leader they can respect tend to take on the role themselves, and that's not going to end well. To be seen as the leader you don't need to be harsh, dictatorial or bossy. All you need to do is be calm and firm, and to make sure you set up the rules you want to be followed from day one, and gently but lovingly insist that your pup follows them. It's best not to allow a pup/dog to get up onto the furniture, or sleep in your bed, until he's firmly established in the right position in the pack (read 'family') hierarchy. Don't allow him to guard his food or possessions from ANY human. Never allow growling or snapping at people and discourage biting/nipping (which is a normal puppy behavior but one he has to learn is not acceptable any more). Start training your pup at home, and also enroll him in a formal obedience class as soon as he's old enough and fully vaccinated. 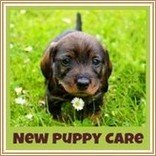 Make sure he gets plenty of positive, ongoing socialization experiences so that he learns how to act around different people and pets and in a variety of situations and environments. Never allow your pup/dog to control your behavior with his... eg. don't stop doing something because he objects to it, don't pet him because he demands it, don't give in to whining and so on. Crate training works in tandem with a dog's natural desire not to mess where he sleeps and that's why it's such an effective house training technique. Giving a pup a quick (but not rough) shake by the scruff of his neck along with a verbal 'no' is an effective correction for misbehavior because his doggie momma would do the same thing. Use his innate need for routine and repetition, and the speed with which dogs pick up new habits to help him learn obedience commands and behaviors... consistency and repetition are the keys. Dogs don't express love in the same way we do, they don't have the same understanding of right and wrong, or feel guilt or try to 'get even' with another dog (or even a person). You might think giving your pooch a bear-hug is an expression of love, a dog may see it as a show of dominance. The same goes for a long, lingering look into your dog's eyes, reaching over his head to pet him, or stroking him firmly from head to tail. To us all of these are expressions of affection, to dogs they are all attempts at dominance. Your own dog should accept these without complaint, even if he doesn't reciprocate, but try them on a strange dog at your own risk! Your dog is always lying right on top of your feet, or leaning heavily against your legs, you take this to mean that he loves you so much that he doesn't want to leave your side. While it's possible that IS what your dog is 'saying', it's more likely that he's trying to show you that he's the dominant one by his very basic (but strangely effective) attempt to reduce your mobility! Lying across open doorways or in narrow halls or common traffic paths in your home sends the same message, so does forcing himself into you lap and towering over you! If your dog gets whiny and pushy when you're on the phone, talking to someone else, or paying attention to another pet, he's trying to control your behavior and is demanding your attention. It may be cute and make you feel loved, but if you let him drag your attention back to him, then your dog feels that he's in control. When your puppy or dog keeps jumping up at your face and trying to lick it when he's greeting you, he's not aiming to give you a kiss he's showing you respect. Licking the muzzle of the pack leader, or elder/more senior dogs is the canine version of a salute or bow. When your adolescent, un-neutered male pup starts to spray urine all over the furniture, house, yard, even other pets or (gasp!) you, then he's not lost all bladder control, he's simply scent-marking. This is a dog's way of marking out his territory and showing other dogs that he is the King of this particular castle! Neutering your dog before he's sexually mature should prevent this behavior from ever starting up. If you have a pup who's naturally a bit anxious or shy, and he always pees on the floor when a visitor comes near him, or men talk to him, or you raise your voice and so on, this isn't a house training problem. It's most likely submissive urination which is a completely instinctive reflex action that many puppies have, especially those who are nervous, shy, or anxious. It's his way of saying 'I'm scared and I know that you're the big boss' - and he simply can't control it. Shouting, smacking or any other type of punishment will only make him pee more because he'll think he wasn't clear first time around! Naturally submissive dogs also tend to have a default setting which makes them roll over onto their backs and display their bellies upward. This is not just a plea to tickle their tummies, it's a sign that your dog is recognizing your leadership and authority. There are all sorts of behaviors your dog might exhibit if he's feeling unwell. Apart from the obvious ones such as digestive upsets, developing a limp, blood loss or yelping in pain, there are other clues. Puppies or dogs who are sick, in pain or distressed often pace, pant, drool, shake or whimper... maybe just one of these, or maybe three, four or all of them. A dog who sleeps all the time (if that's not usual for him) may also be in trouble. A dog who is unsure of himself or nervous often yawns repeatedly. If you're on a road trip and your dog is drooling and licking his lips, he's feeling nauseous and is likely to vomit soon.